Improve your overall strength, coordination, mobility, agility and balance through exercises that work all muscle groups. Gain self-confidence and increase mobility so that daily activities can be done with ease and energy. 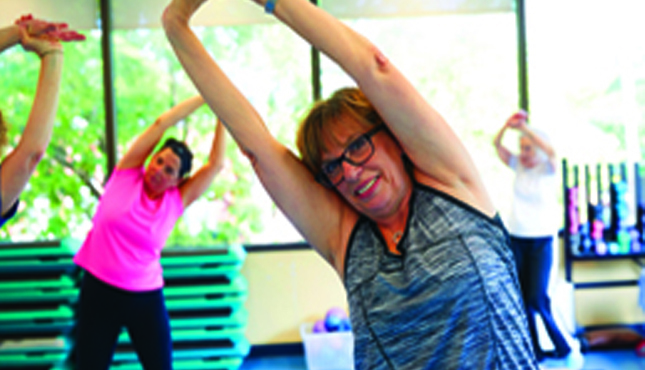 Annette Vezina is co-manager of the Wellness Centre and a fitness instructor for over 20 years. She is the designer and instructor of a unique group of programs such as Brain Training and Balance & Mobility. As an avid nature seeker, she enthusiastically leads the hiking/snowshoe & ski club. This course is not available for online registration. Full refund will be given only if a course is cancelled. You may also transfer to another course. There is a minimum administration charge - $5. Four working days or less prior to the first class - 50% refund. No refund as of the first day of class. No refund on class extensions or on courses two sessions or less.